Convert PCD to GIF raster images online and without ads! 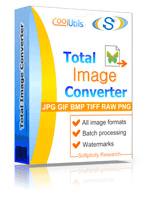 Run the PCD to GIF Online Converter or buy our batch Tool for more! Description PCD (Photo CD) is an image file format from Kodak intended for storing high-resolution images on CDs. PCD files provide an extensive range of color depth options and contain five same-image scans of different resolution, creating a rich potential for photographers and designers to produce best quality images. File size averages 5 MB. Some CD-ROM drivers do not support PCD. However, you can open a PCD file using various kinds of graphic software, such as CorelDraw, Adobe Photoshop, Pagemaker, Mac Apple Quicktime, etc.